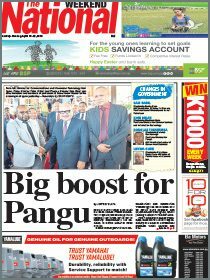 TREASURY Minister Patrick Pruaitch has been given the shove as Prime Minister Peter O’Neill moves to steady his ship heading into the heat of the general elections. 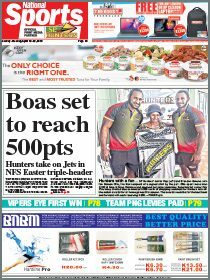 Pruaitch, the Aitape-Lumi Open MP, recently criticised the government over the economy and announced his wish to be prime minister, comments O’Neill said yesterday that have made his position “untenable”. Pruaitch will now serve as Minister without portfolio. O’Neill said the decision to relieve Pruaitch of Treasury has been made in order to maintain confidence in the economy and ensure responsible administration of the portfolio. “The Honourble Patrick Pruatich has been relieved of treasury responsibilities and will remain as minister without portfolio until after the elections,” he said. “Following recent comments, that have only served to undermine the work and function of the Treasury, his position has become untenable. “Further, recent misleading comments on election funding, which was also under his ministerial delegation, have been driven by political motivation over substance. “Minister Pruaitch is an experienced member of Cabinet and should know all of the established protocols associated with being a member of the National Executive Council and the Executive Government. “In this role he is expected to behave in a manner political interests. “His recent announcement that he wishes to be elected prime minister has clouded his judgment and prevents him from continuing to hold on to this position. “Leaders have to take ownership of the issues and outcomes for which they are responsible, rather than abandoning their prior decisions and actions for political convenience. “This decision is regrettable, but necessary, in order to maintain confidence in the economy and its continued growth. The prime minister will have responsibility for Treasury and consult with coalition partners as to the immediate future of this portfolio allocation.